The United States is generally considered to have entered the war against Japan after the Japanese empire’s attack on Pearl Harbor on December 7, 1941. Yet, did this conflict actually originate decades earlier? Author Claude Morita spent his career in military history and intelligence, working in programs of the US Air Force in Vietnam and with US naval intelligence operations in Japan. His research of declassified materials in the National Archives in Washington, DC, convinced him that US planning of a war against Japan began in about 1898. 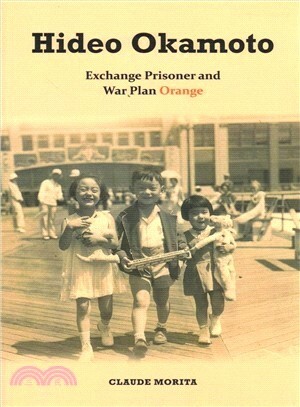 He examined the top-secret offensive strategy developed by the US Joint Army and Navy Board, named War Plan Orange—a series of contingency war plans to manage hostilities against Japan—tracing its various iterations, from its origins in the late 1890s through the interwar years to 1941. Morita shows that what was initially a strategic policy became a racist one aimed at anyone of Japanese ancestry. As an example, he highlights the life experiences of one such individual, Hideo Okamoto. Born in Yokohama in 1892, at the age of ten Okamoto traveled to America aboard a ship bound for San Francisco to join his father and older brother. He immersed in his new surroundings, played baseball, attended a Japanese-only high school, and then went to junior college, graduating as a business major. Okamoto moved to New York City and established his own company, which later went bankrupt at the start of the Great Depression. By then he was married with a newborn daughter and he quickly found employment with a Japanese import-export company. In 1941, Japanese companies in NYC encouraged family members of their employees to return to Japan, and Okamoto’s wife and child did so, while Hideo stayed behind. On December 7, he was on a business trip and staying at a Miami hotel, when two FBI agents arrested him as an enemy alien. He was jailed and later sent to a US concentration camp, despite having been a law-abiding resident for almost forty years. Hideo Okamoto was arbitrarily selected and traded as part of the first exchange of “prisoners of war” with Japan. He lost all his personal property and was forced to live out his life in Japan. While Okamoto did not express anger at these injustices, his biographer recounts a story that deserves to be met by outrage as well as remembrance. Sasebo and Yokosuka naval bases in Japan.